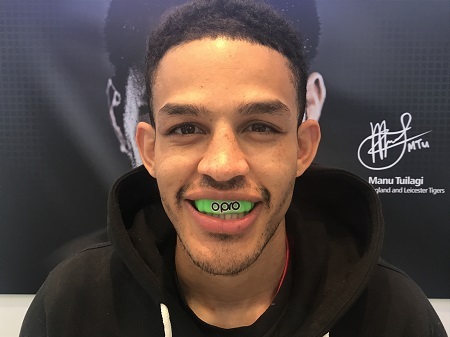 OPRO have signied England women’s rugby star, Danielle Waterman, and British Karate world champion, Jordan Thomas, as brand ambassadors. Alongside Great Britain Women’s Hockey Olympic gold medallist, Shona McCallin, the deal will see Danielle and Jordan promoting the benefits and safety of using mouthguards while inspiring others to get involved in their respective sports. For Danielle, having enjoyed many Six Nation’s triumphs and a World Cup win with England back in 2014, she will play a fundamental role in promoting safety in Rugby, a sport which OPRO has partnerships in place with the likes of England, Australia and New Zealand Rugby. After becoming Britain’s first Karate world champion for 12 years in 2016, Jordan also partners up with OPRO at an exciting time, with Karate to be added to the list of Olympic sports for the first time in 2020. With OPRO having announced their partnership with the UFC last year, and further partnerships in place with the likes of England Boxing, GB Taekwondo, as well as the German, French and Italian Mixed Martial Arts Federations, Jordan will be key in engaging, educating and inspiring people across combat sports. 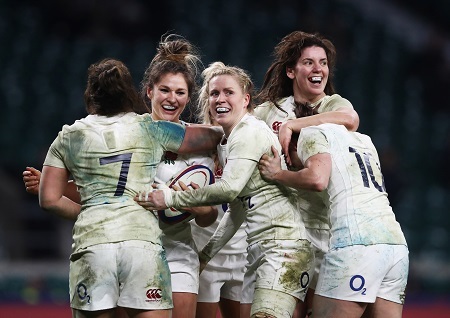 Currently competing in the Six Nations for England, Danielle said: “I’m really excited to be on board with the very best mouthguard makers, I’ve always loved OPRO products.